Traveling to Cincinnati by Airplane? 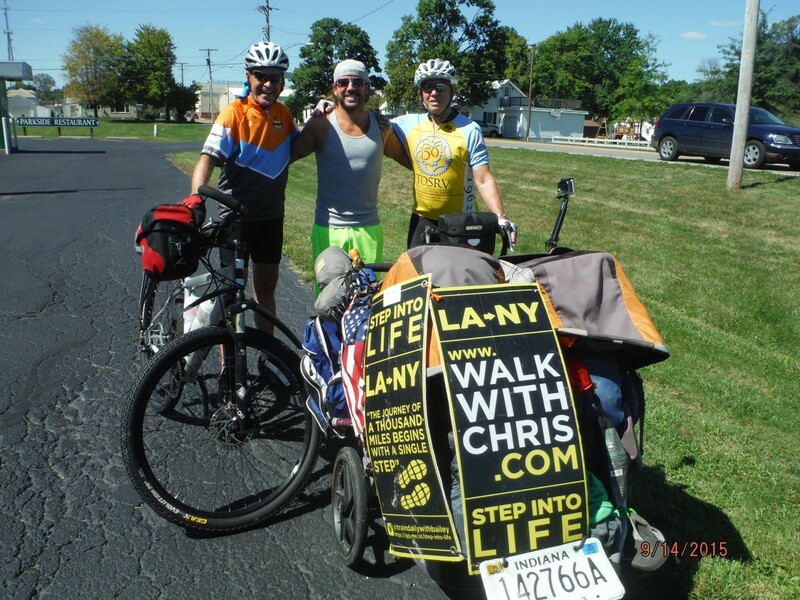 – Go to our page Planning Your Trip for details on how to get from the Cincinnati/Covington (CVG) Airport in Northern Kentucky to downtown Cincinnati and the start of the Ohio to Erie Trail. We have outlined the available bus transportation from the Transit Authority of Northern Kentucky and detailed a bicycle route for the 12 miles. Cincinnati – these first two alerts are navigation clarifications and not route changes from the trail guide maps. Southern Region OTET Tour Guide Map, – Panels S-4 and S5. Two areas need traveler attention. 1. Going south towards Cincinnati after turning on to Kellogg Avenue from Carrel, in one-half mile the trail goes left (south) around the back of the school on stilts and not straight on Kellogg Avenue. While the trail returns to Kellogg/Riverside Drive later, this beautiful one mile trail section winds along the Ohio River where there are ball fields and a boat ramp with very little car traffic compared to Kellogg. Kellogg and then Riverside Drive have a bike lane on the road, but the OTET goes behind the school with the Ohio River Trail. When the trail ends at Carrel, turn right and in a block you are back on Kellogg which now has become Riverside Drive to the city and it is well marked. This is visible in the Southern Region Map of the OTET Tour Guide, Panel S4 – Linwood-Hyde Park. 2. Traveling south – The route 1 bicycle sign at Bain and Riverside at the red light to cross and enter the OTET at Berry International Friendship Park is missing but the trail is easily visible on the south side of Riverside Drive. It is possible to stay on Riverside and catch the trail at other places, but the easiest is to take this first sign of a trail on your left. Do not go east on the Lunken Trail but continue south on the new concrete construction on the west side of Lunken Airport. This is visible in the Southern Region Map of the OTET Tour Guide, panel S5 – Ohio River Trail. Galena – NC5 – We now have the old Ohio to Erie Route 1 THRU Galena marked as an Alternate Route so that visitors can go through town, eat at the restaurants and certainly visit the Hoover Boardwalk. The ALT route brings travelers right back to the new route going south and going north. Do not miss the Galena Brick Trail (a huge brick factory once existed in the area next to the trail) that goes over Little Walnut Creek. Columbus to Westerville – NC5 and NC6 of the North Central Region Tour Guide – note that through Westerville (below Maxtown Road to Alum Creek Trail north to south and south to north), a distance of six miles, the City has nice decorative signs on poles as well as on signs at intersections, but no Ohio Bicycle Route 1 signs. They have recently (8-5-17) installed the older and smaller Ohio to Erie Trail signs with the map of Ohio. These signs will guide travelers through the city’s many turns and streets. So look for the white and green signs that read “Ohio to Erie Trail” and have the map of Ohio on them. North Central Region Map, OTET Tour Guide panel NC1 (Killbuck to Glenmont) – The tour guides are accurate for the newly opened 9-1-17 section of the Holmes County Trail. 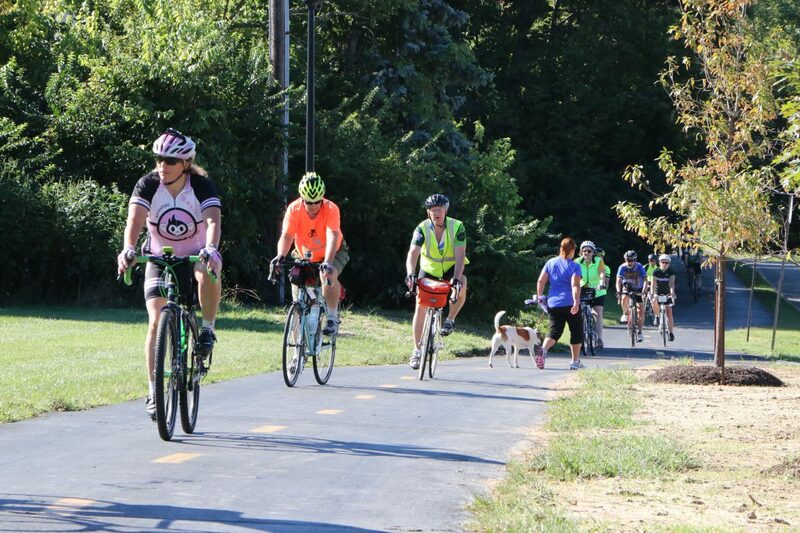 This 8-mile section between Brinkhaven and Glenmont is now open which takes the Ohio to Erie Trail route off Route 62 and several rural roads so we will then utilize Route 520 until the final Trail section is paved from Glenmont to Killbuck. The remaining right-of-way has been secured and funding for the final 10 miles is all but complete.. When finished this part of the Holmes County Trail will eliminate road travel completely along the approximate 16 miles from the Bridge of Dreams to Killbuck, to Millersburg and north! Currently, the OTET Tour Guide does show this newest section that has been paved AND the current road route that is still marked with Route 1 Bicycle signs. 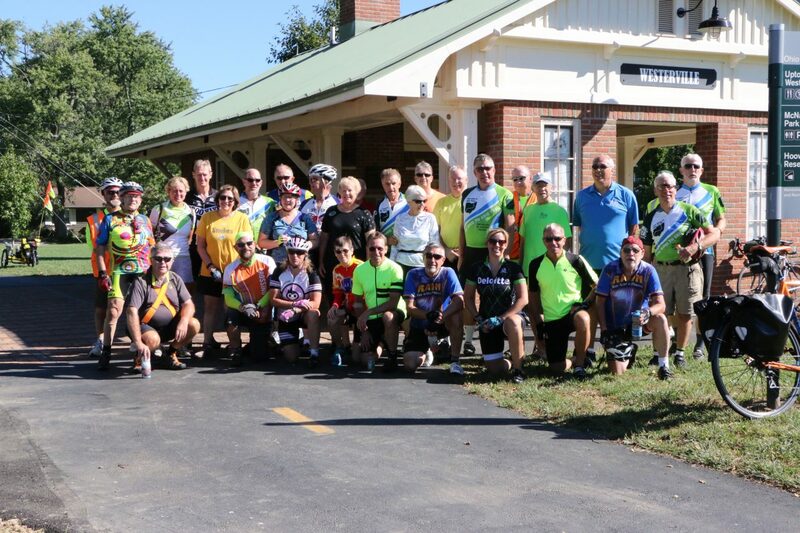 South Central Ohio Region of Tour Guide – Panel SC4 – Darby Creek Drive – London – going north from Georgesville, the Camp Chase Trail is completed all the way to Sullivant Avenue where the route turns left (west) for only a couple hundred feet to Industrial Road. At that light, the trail route heads north and east on Industrial for only one mile until it comes to a light at Georgesville Rd. where the route takes a right (south) turn and continues to follow the Camp Chase Trail east for 3 miles until it crosses Broad Street on an overpass and ends up at N. Eureka. Proceed north on Eureka Ave – east on Valleyview (becomes Highland then Harper). Cross McKinley Ave and enter the Scioto Greenway trail via the Hilltop Connector Bridge, at the end of the connector bridge go LEFT at the fork to follow the Scioto Greenway Trail toward downtown where you connect to the Northbound Olentangy Trail at the Confluence (The Boathouse). NOTE…one you reach the Hilltop Connector, you no longer take the Olentangy Trail north, but instead take the Scioto River Greenway east into Columbus. This is on panel SC3 of the South Central Region Map of the OTET Tour Guide.